As the majority of my business is referral based, I would love to add your name to my list of satisfied customers and to be referred to your family and friends. This is a beautiful neighborhood where pride of ownership shows on every treelined street. Most of the homes are of brick or stucco and brick construction with pitched roofs. While conveniently located close to shopping, churches, schools and recreational areas, it is a very quiet area. Many of these homeowners are the original owners of the homes they built, although there are also many young families in the area. 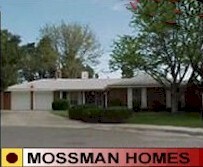 This convenient, well-located area was constructed in the early 1960's by Mossman/Gladden builders. When you hear of a "Mossman" Home you think of quality because of the excellent reputation of Mossman/Gladden Homebuilders. Some of the outstanding features that you will find in these homes are: pitched roofs, perimeter heating, hardwood floors, big lots, excellent floorplans and overall quality of construction. Banking, Postal Service, Bus Routes, Shopping (including grocery, clothing, hardware and much more) are close by - some within walking distance. Stardust Skies Park with children's playground, walking path, tennis courts and much more is conveniently located at Bellrose and Pennsylvania. Click on any of the following pictures for a large view! 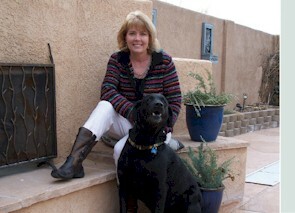 © Copyright 2013/2014 Pam Gentry. All Rights Reserved.